Before going into the different event venues, we lingered for a while over a large piece of artwork that spanned a whole wall. This was a specially commissioned work titled Homage to Monet created by French-Filipino artist Olivia d'Aboville. It was inspired by Monet's famous Water Lily series. Homage to Monet by French-Filipino artist Olivia d/Aboville. 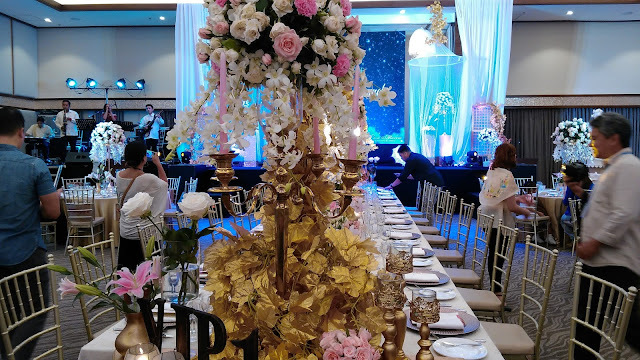 The centerpiece makes one feel serene and calm and perfectly reflects what Casa Ibarra offers it's clients. 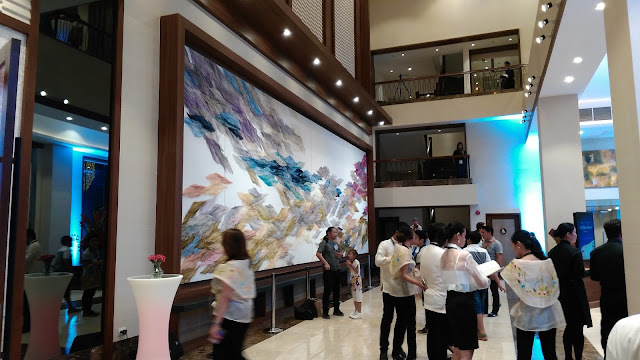 The artwork measures 11x3.5 meters consisting of 8 panels and used 365 meters of Philippine silk textile handwoven in Palawan and Aklan for over 3 months. It was then custom-dyed in the Shibori technique which is one of Olivia's signature textile techiques. This is also one of Olivia's largest art work to date. Similarly, Casa Ibarra has incorporated painstaking care in the design and concept of its different event venues with help from the highly popular KM+ professional interior designers. They wanted the venues to exude a modern Filipino home with clean lines and local materials such as wood and raffia weave for warmth and balance with the light-colored walls for a bright interior. Chandeliers and other decor on the ceiling made with capiz. They also used capiz and beautiful T'nalak weave, a traditional handwoven cloth found in Mindanao. All these touches make Casa Ibarra a showcase of Filipino talent and culture in a modern setting. Ibarra's has over 17 years of experience in the party venue and catering business. It now has 5 locations and each has distinctive design and architecture. The newest one is Casa Ibarra, MOA Complex. Casa Ibarra, MOA Complex has 2 floors. 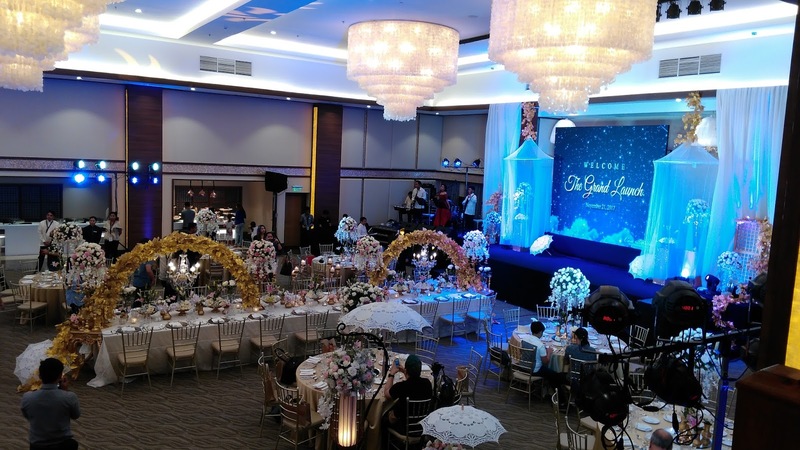 The ground floor offers the Alegria and Hermosa Function Rooms which can be combined to accommodate up to 280 persons or 140 persons per room. Both rooms feature a grand staircase where celebrants can walk down from for their grand entrance. 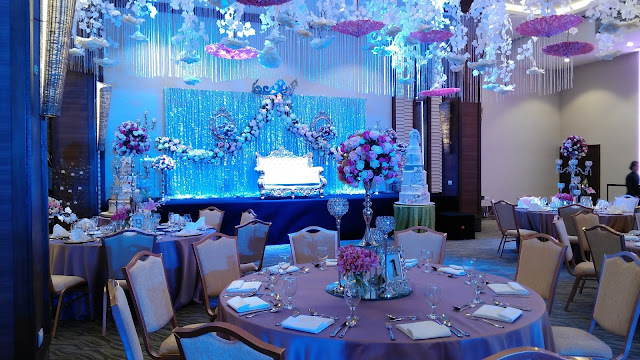 Each room also features a private room for the main celebrant to prepare their makeup and attire before their introduction to guests. 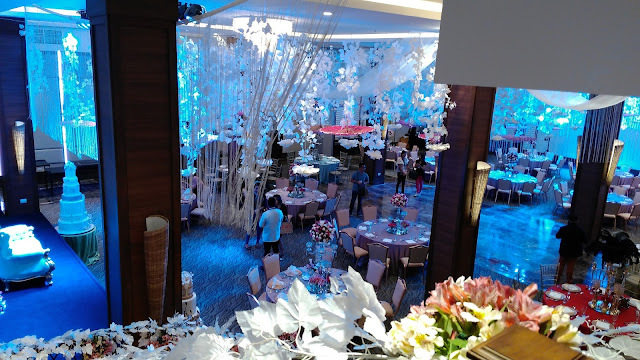 A view of the Alegria and Hermosa function rooms combined. All the function rooms can be customized to a client's preferred theme or concept. Here are some of them. 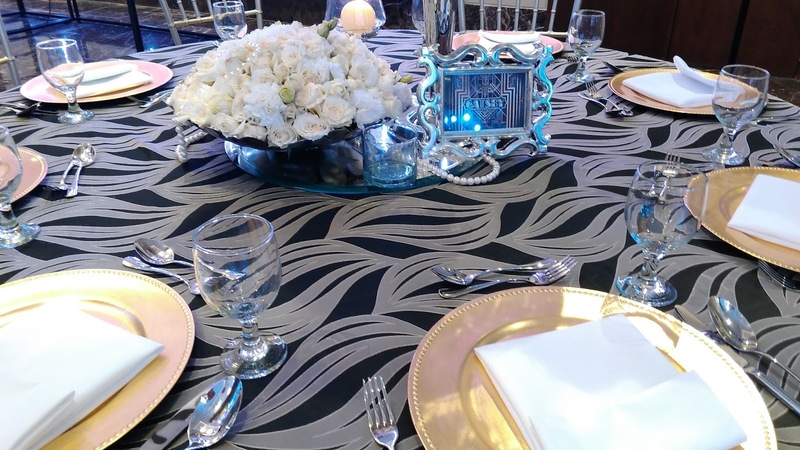 Great Gatsby themed table setting. 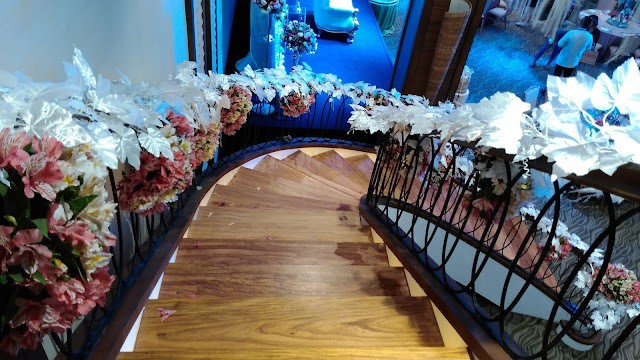 The decorated staircase for the celebrant to make their grand entrance. 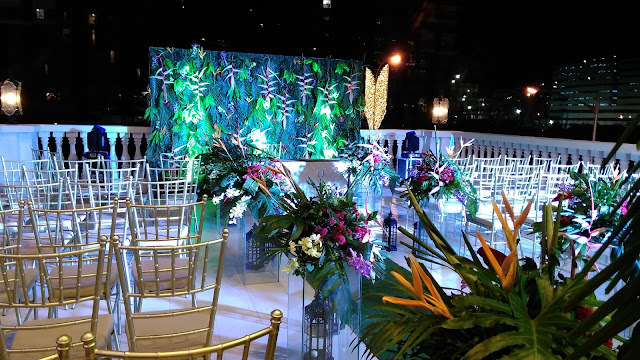 For those who want an outdoor venue, Casa Ibarra offers the porte-cochere on the 2nd floor which can accommodate a wedding ceremony with 80 persons. We took the shots of the location at night but it would have a great view of the MOA complex including the bay during the day. A wedding outdoors is also possible at Casa Ibarra. Another view of the wedding venue. Finally, the biggest room in Casa Ibarra is the Sala de Amor, a 600sqm space that can accommodate 350 persons. 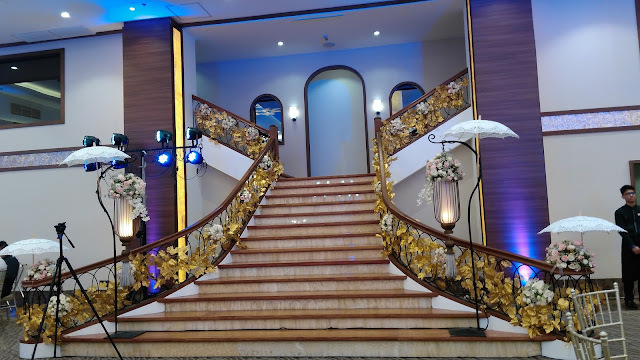 It has a grand staircase with steps that light up as the celebrant walks down. 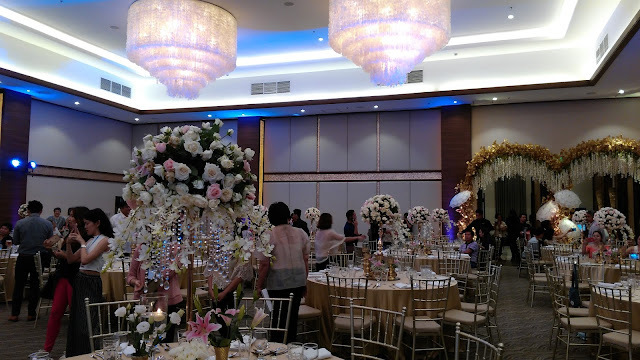 The room also features gorgeous capiz chandeliers made up of 20,000 capiz shells as well as majestic lighted onyx pillars. 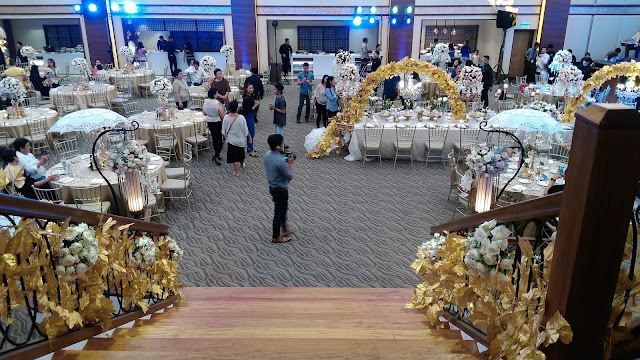 This grand event venue took 200 workers and a year and half to complete. Salon de Amor and its stage. More tables and the gorgeous capiz chandeliers. The grand staircase with steps that light up as you walk down. View of the venue from grand staircase. 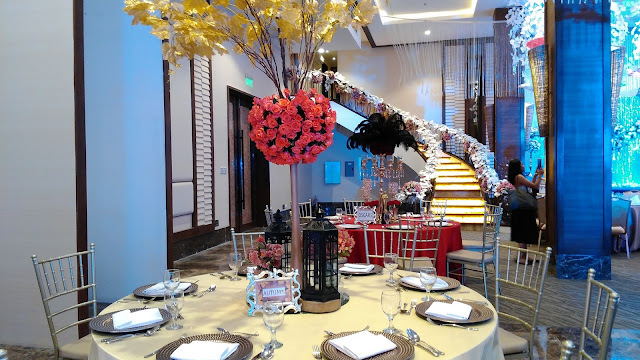 On one side of the grand staircase, a prep room is available complete with amenities for the celebrants family and friends who may want to drop by before the event begins. It also features a separate entrance for the celebrant to reach the grand staircase. View of the grand staircase from the center table. Detail of the table setting in front of the stage. On the left of the main stage, there is a place for a live band. The main stage wall can also be used as a screen for any videos or presentations that will be used for the event. 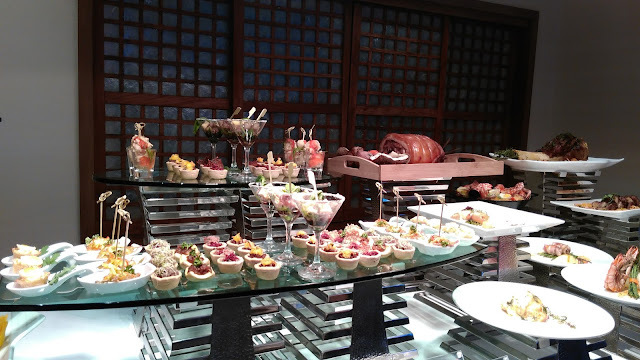 Casa Ibarra's Sala de Amor also has a buffet with a selection of dishes from appetizers, main courses, desserts, soups and other delicacies. Some of the appetizers during the event. There was so much food but we forgot to take pictures of them all. 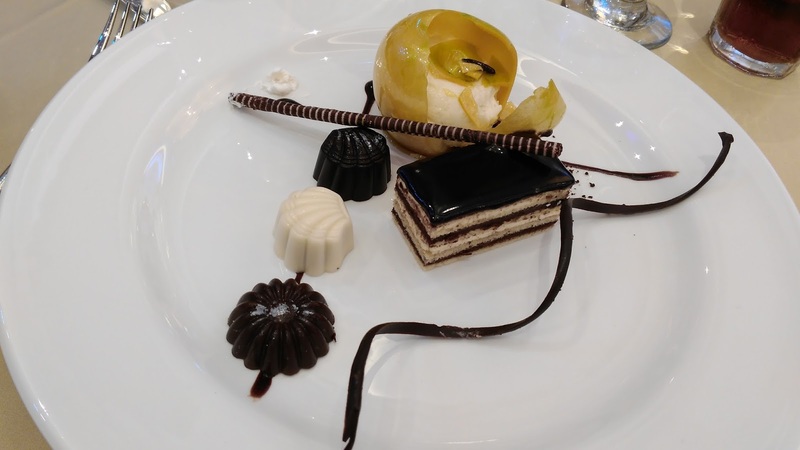 However, at the end of the event, we were treated to the March of the Waiters where the waiters all came out to serve us the chef's special dessert. They marched so methodically and so beautifully it looked like a dance. The chef's beautiful creation; too beautiful to eat! Once the dessert was on our tables, we were asked to break the apple. I did so hesitantly because I did not think I would be able to finish off a whole apple or break a whole apple, even though it was just a small apple but it looked to pretty to eat. But it had a surprise inside. The broken apple with a delicate and delicious mousse inside. Firstly, I was surprised that the apple was not an actual apple but it was made of blown sugar which I know is a very complicated procedure. How did they make all the apples? Second, the delicate mousse is not to sweet and complimented the sweetness of the apple very well. The chocolates on the side had different fillings and not all were sweet. 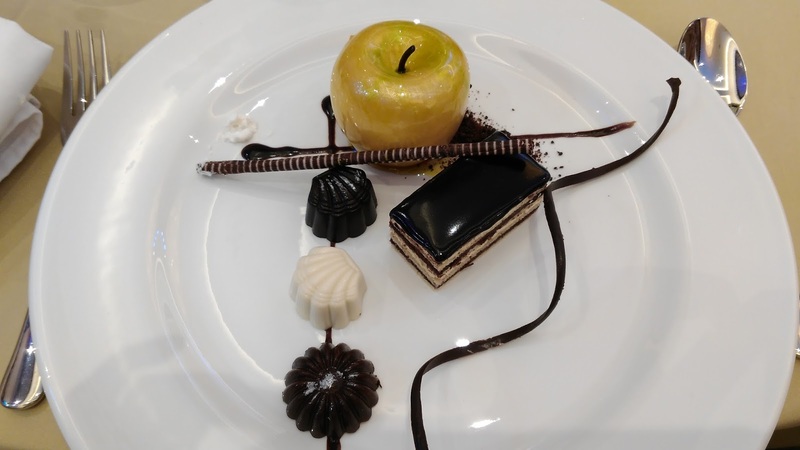 This dessert was a grand ending to a grand event indeed. 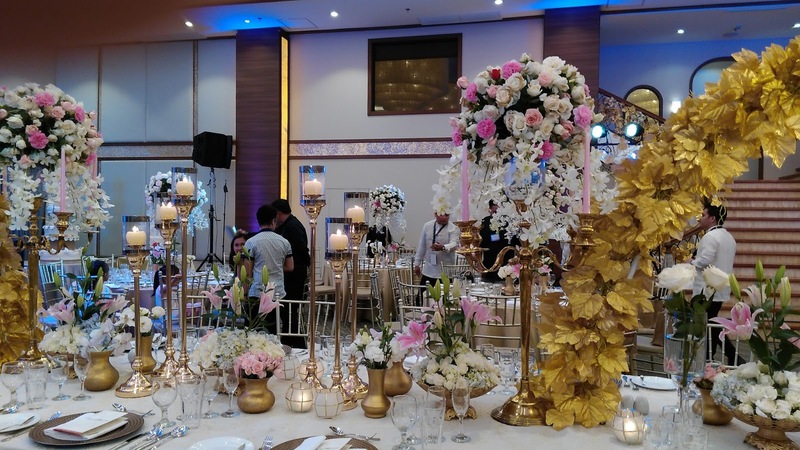 All Casa Ibarra packages includes banquet service and event venues. On the day, their experienced staff also helps clients with basic coordination for food and beverage, from start to end. A typical packages starts at around Php133,000 all-in. This already includes numerous amenities but very much customizable to the client's preferences. Aside from their beautiful event rooms, Casa Ibarra also offers other services and amenities to make event planning more convenient. Parking - They have 11 parking slots in front of the building for couples and their guests. There is also a parking area beside Casa Ibarra for guests. Catering - Casa Ibarra has a wide selection of Western, Mediterranean, Oriental, Spanish and Filipino cuisines. Specialty - Their specialty include Ibarra's Hickory pork spare ribs, braised beef shank and seafood paella. Meeting Room - A place for clients and Casa Ibarra sales associate to discuss plans and even do food tastings. Experienced Sales Associates - They are knowledgeable in the fine details like church schedules or the duration of a ceremony. 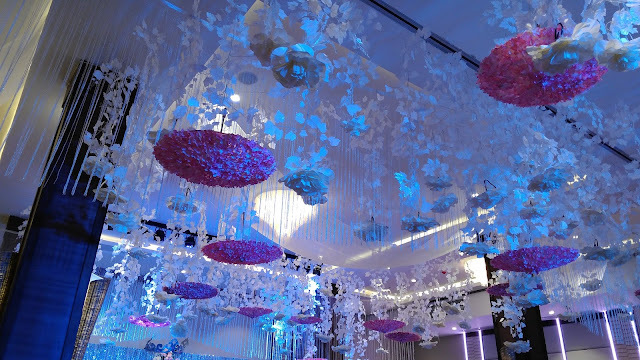 They assist clients from preparation all the way to the completion of an event. Aside from Casa Ibarra, MOA Complex, there are also other venues for clients to choose from. 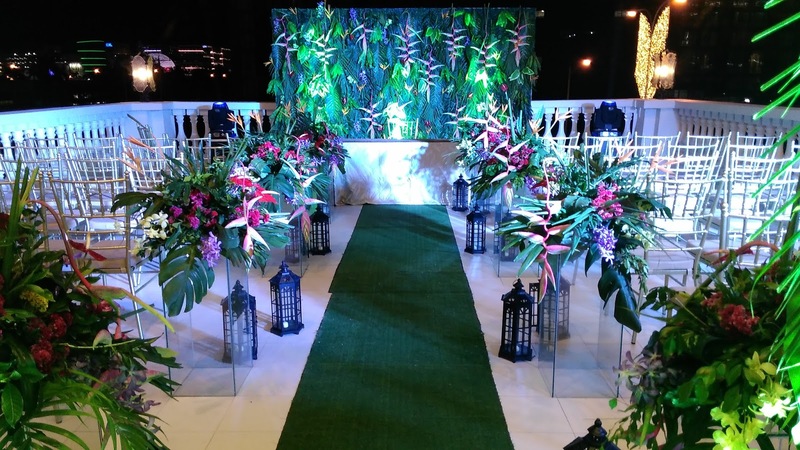 Ibarra's Garden in Manila is a classic home from the 1920's with a garden inspired by American Art Deco architecture. 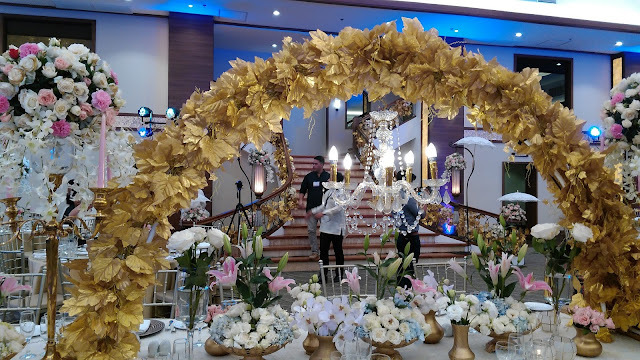 Plaza Ibarra along Timog Ave., Quezon City is a Mediterranean-themed garden with elegant ballrooms and a lighted, grand staircase. Bella Ibarra in Quezon Avenue was built around a timeless and elegant theme suited for both small and large gatherings. Villa Ibarra in Tagaytay is a small hotel offering stunning views of Taal Lake and is often booked for weddings. The name Ibarra has been associated with the best events and memories for generations of Filipinos. Clients range all across the metro and provinces and even international clients avail of Ibarra for great food and service. 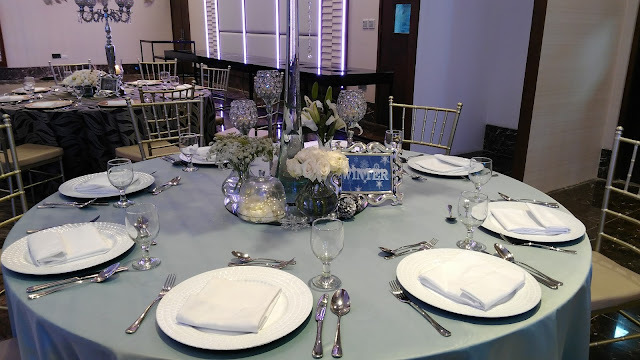 So if you're planning a baptism, a kiddie party, a debut, a birthday celebration, a product launch, a graduation or your next company party, consider Casa Ibarra as your new partner in making your event a great memory to remember. Photos taken by me. Information from press kit provided.